Ise, Mie born designer Hiroshi Fujiwara does many different things and his influence on streetwear and the sneaker culture is unparalleled. When he isn’t busy rolling out fragment design kicks with Nike, he’s probably bridging worlds apart with his Pool aoyama concept store space. 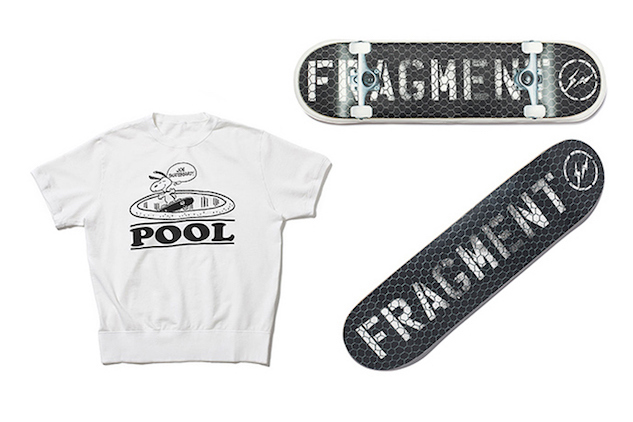 One of the latest drops is a 12-piece “Skate” capsule collection, consisting of a skate deck design between fragment design and Challenger Brigade, a white Peanuts-branded short-sleeve sweatshirt, a skate deck pouch designed with Undercover, and plenty of more. Available now in the POOL aoyama exclusive space.